Sounds obvious but it does not always happen. Especially in highly hierarchical organizations, people often think they get credit based on their power, not their actual contributions. And that is the crossing where all can go just wrong. I think we all are responsible to change this — not just with our friends and family but in all the occasion, we face people. What we can do? Pay attention at people around you, who you meet, your colleagues, people in your organization and give feedback. Make sure that the right people are getting the right credit for the right reasons at the right time. Be an explorer who want to find out the best out of everyone. Credit team members for crediting one another. Good idea is to incentivize your team members to acknowledge and appreciate others’ contributions. This “expansion” of credit enhances team cohesion and trust, promoting more and better collaboration. Positive emotions expand our awareness and open us up to new ideas. Very simple method to develop greater happiness and better self-confidence on others is to credit others. Create experiences for them, which help these good mental states become good neural traits. This is taking in the good: activating a positive experience and installing it in brain. You must be honest and truthful, fake won’t matter. In my team at work, we are excited about brain wellbeing and our ability to increase it by our actions. We like to symbolically reward people who are for to credit. We have created rewarding system that supports brain wellbeing. The brain is the organ that learns, so it’s designed to be changed by experiences. What we repeatedly sense and feel is slowly but surely sculpting brain wellbeing. Positive feedback will leave an enduring imprint in our brains. Your mind is actually building your brain every day. So why not to have an influence on other peoples brain and brain wellbeing among creating the world the better place. Reflection in relationship has been described as a process that helps to turn experience into knowledge. We need more information where we are good at, what are our own strengths in someone else’s opinion. This way we can turn these experiences into knowledge and start to believe that we are good on something, we are capable on things that we are doing and we will have possibility to do more. To be able to be a reflective person who creates reflective atmosphere is not something we are born with, it is a learnable ability and it develops in discussions with other more advanced minds. It allows us to develop ourselves among it tempts us to continuous lifelong learning. Good trustworthy feedback, credit what you have done or achieved motivates you, pushes you to accomplish the tasks you are expected to do. It also pulls you towards something that stirs your heart and mind. It gives you the feeling that will support you to get the best out of yourself. A reflective person is not afraid of other one’s wisdom and knowledge vice versa they celebrate the brains that they have in their company, they love to give the credit for the ones it belongs to. When we are filled with inspiration we don´t need external motivation to move forward, we will move forward. So why not to inspire each other’s, to get the best out of everyone. I get highly inspired by trustworthy feedback. It melts my heart and builds my self-confidence. I love to learn from others as well I’m happy to give feedback and credit to others. The most important thing is that an atmosphere is created safe, where collective aspiration can be set free and we all are keen to learn from each other. This demands trust, believing and respect. Good, respectful relationship engages me to expand my thinking, to increase knowledge of what I might be lacking. People with good basic trust are more likely to think optimistic and credits others. Basic trust is build in early interaction with a child and their care giver. It is an implicit trust that what is optimal will happen and a person believes whatever happens will ultimately be fine. It is the confidence that reality is ultimate good, and all that exists, are by their very nature trustworthy. Basic trust gives an implicit orientation toward all circumstances and that allows us to relax and see situations as learning opportunities. As well as we can create optimistic learning atmosphere, we have huge impact on developing a basic trust if it´s needed. Basic trust can be developed in trustful and respectful relationship. We can reflect security, build trust and create permissive learning atmosphere where other people can relax, learn to act and be in securely attached in ways that are needed in life. The more we create basic trust, optimism in people’s lives, the more process of transforming and realizing and becoming flows more smoothly. Building the basic trust can lead people to feel that they are good, valuable, worthwhile and lovable. Quite powerful! As well as basic trust can be developed, optimistic thinking and crediting others is learnable. We know that the mind can be trained into new habits of thoughts and that those who learn optimism can obtain all of the benefits associated with that attribution style. In order to cultivate an optimistic thinking and crediting others, a person must work to change their pessimistic explanatory style to a more optimistic one and to be more willing to see other´s success. I have earlier written about insecure leaders. Now I think I should write about other kind of leaders and about my own experiences of being led. I have to admit I´m quite fascinated about my organizations head leader´s ideas, how he thinks that reflective interaction requires good self-esteem. He says that we should not hide or forget ourselves under the constant hurry. If we forget ourselves there is a concern that we will loose our contact to ourselves. We become more drifting personalities thinking that if we fill our days with e-mails, social media or other stimulations that make us look busy, people will respect us and we become more valuable. Drift is a choise one does without decision and it may unleash consequences for which one doesn’t take responsibility. Drift might sound small, but once unleashed, drift is a powerful, often almost unstoppable, force. Are we too afraid to ask ourselves, how we are? Reflection in relationship and in leadership has been described as a process that helps to turn experience into knowledge. To be able to be a reflective person who creates reflective atmosphere is not something we are born with, it is a learnable ability and it develops in discussions with other more advanced minds. I have found that there are atleast three different kinds of leaderships: motivational, inspiring and reflecting one. Motivational leader motivates you, pushes you to accomplish the tasks you are expected to do. But you might need motivation to be pushed, maybe you would rather be doing anything else. We can be motivated by result not the journey. Inspiring leader instead pulls you towards something that stirs your heart and mind. Inspiring leaders know that the most effective way to enroll followers is to clearly articulate what the leaders believe in, why they exist, and where they are going. A reflective leader supports employees to get the best out of themselves. They allows employees to ‘hear’ their own thoughts and to focus on what they say and feel, they encourag employees to a conversation that leads to brainstorming, changing ideas and growing. Reflective leaders shows the employees that they are trying to perceive the world as employees see it and that they are doing their best to understand their messages. A reflective leader is not afraid of their employee’s wisdom and knowledge vice versa they celebrate the brains that they have in their company, they also give the credit for the ones it belongs to. We can be inspired by a person, an atmosphere, or surroundings. I think we have different ways to get inspired. When we are filled with inspiration we don´t need external motivation to move forward, we will move forward. People who are lacking clear vision often need external motivation to keep themselves moving forward. Motivation or inspiration is not enough. We also need reflection to be able to grow, learn more from ourselves and our underlying emotions and interpersonal behaviors. I get inspired by good conversations, (Of course surroundings too, I´m aesthetician.) talks where I can feel comfortable, be visible as who I am. An atmosphere is created where collective aspiration can be set free and somebody is keen to learn from me as I´m from them. This demands trust, believing and respect. Good, respectful relationship engages me to expand my thinking, to increase knowledge of what I might be lacking. Last week I had a good conversation with my leader. If I exaggerate a bit the main content of our conversation was that he was interested how I felt myself in my team and that I´m free to do what ever I want to. I underline exaggerating, but the message to me was clear: I´m trusted and respected. As a professional I know my limits and they were discussed, but the feeling of freedom inspires me to do my best. The conversation had reflective point of view. It included self-observation and self-evaluation and as we know this will lead to better self-awareness and confidence. When you are invited to collect information about yourself and your way of working, and by analyzing and evaluating this information, it helps you to identify and explore your own practices and underlying beliefs. This will lead to changes and improvements in working. Reflective leading therefore means professional development which begins in a dialogue with the employee. Tiny little things to do to get the best out of the employee, but so meaningful and so hard if you are lacking reflective ability. I´m very easygoing person, I´m easy to please and easy to lead, but it must be done in a transparent, honest way. I must be able to trust that purpose is genuine. It is known that low levels of reflective ability have been associated with insensitive and emotionally unresponsive behaviors (e.g., withdrawal, hostility, intrusiveness, and distorted perceptions of affective communication). Reflective ability is a mental process thought to be invoked in the interpretation of human action (i.e., the attribution of personal meaning and intention to others’ behavior). I must say I have different experiences being lead. Of course I have, I started my career in 90s. One of my bosses on my way has become my dearest friend and an otherone is helping me on my career what ever I have decided to do, he supports me no matter how crazy ideas I get! That I call trusting! I have also met leaders who have not taken responsibility of their behaviors and actions. When you are lead by a very insecure leader you also become insecure, the reflection tells you, that you are not good enough, not accepted nor trusted. Your purpose is doubted no matter how hard you try. The creativity is killed and you will start to drift, there is no energy to think other options. Reflective ability reveals unsafe patterns and disrespectful ways of leadership. It helps individuals to understand that emotions influence interactions. Ability of thinking reflectively helps to clarify the cause and effects relations between underlying emotions and interpersonal behaviors. May be, if you are too torn, you have no courage to do anything for the situation. You either defer or give up and resign. The more reflective and respectful a leader can be, the more reflective and respectful their employes will be. The more reflective leaders can be the more they can learn from the employees, because they knows they can trust the employees´ reflections. Reflective leaders motivate and inspire employees´ in powerful way because it involves personal growth. How you are perceived by others depends on your first impression. Dressing up helps you build your confidence. Dressing well is often a creative expression of the individual and it can also be one way to boost your confidence. In Icebath we think people dress up to respect other people. First of all it is important that you will figure out the dress code in the office. I have noticed that in my new job the dress code is confidence with a hint of relaxed humor and academic backgroud gives the well finnished look. Even when you work in the office where the dress code in strictly business attire it is important that you reflect your individual style. How you dress effects how you perform. People tend to perform better in life when they feel that they deserve to perform better. This is important rule when you work at home. If you work with your joggers that has holes in them and your hair finds it own style among your face looks tired with some drool on your cheek, what will you expect form your performance? Okey, we have figured out that the company’s dress code is confidence, but how will you reach that? Respecting others is the key to find your confidence. The more you get the other people shine and to do their best the more confident you will be. You don´t need to dress in your most conservative suit, with accessories to match. You can be curios of other people and their skills and competences. You can have an open mind that gives you space to develop yourself and lets you to grow when reflected by other people. People see if you are true with yourself and wheather you are trustworthy or not. You should have a good reflective ability and be keen on evolving in that. Good reflective ability gives you a free pass to better confidence. Collecting information about yourself will help you identify and explore your own practices and underlying beliefs. This will lead to changes and improvements in your own personal growth. People who are confident and selfaware are the people you find it easy to be with. There are no hiding expectations. What ever the dress code is, if you are able to create an atmosphere where collective aspiration can be set free and people are keen to learn from each other you have nailed it. In every office and workplace the dress code should be based on good mentalizing and reflective ability. There should be good conversations that reveals people capacity to understand themselves and others in terms of intentional mental states, such as feelings, desires, wishes, goals and attitudes. Mentalizing is a quintessential human capacity that is needed to be able to successfully navigate the social world. There should be thoughtful reflective questions that are designed to help teams at the workplaces to reflect on their practice. Using carefully chosen questions will allow people to probe for deeper complexity and encourage them to self reflection. Thoughtful questioning help people to move forward with focus and intent. Trough these kind of conversations people will gain confidence and become more skilled at working through tough problems without hurting each other or themselves. Being able to work in this kind of athmosphere the work community will develop the skills and tools to handle similar issues in the future independently. It allow us to grow towards more aware and a better persons. No matter how casual the office is, it’s never appropriate to wear primitive defenses in interaction with other people. You always must be responsible of your own reactions among curious why you act the way you do, especially when under a lot of stress or questioned about your choices. Self-observation and self-evaluation are crucial and will lead to better self-awareness and confidence. Make sure that people always have confident feeling when around you. Minimize sarcastic humor, it can always be miss understood. Keep rude, racist and offensive comments away. Treat people the way you wish they´ll treat you. Be always on time, because being late is a way of using power and disrespecting other people. Bring your smile with you to work, greet your colleagues and be also interested about their personal lives. Be the best version of you. Save your cologne or perfume for the other occasions, and let your co-workers realize how freshly you want see and think. Let them enjoy how groomed you are and how eager you are to learn and develop yourself with them among the organization. Make excellent impression of you and stick to the dress code. To boost your confidence spend a few minutes spiffing yourself in the mirrow before you leave home. Reinforces the idea that you deserve success and good treatment in your own mind. When you respect yourself, your respect others. Don’t forget the red lipstick it always makes the day, no matter how strict the dress code is! 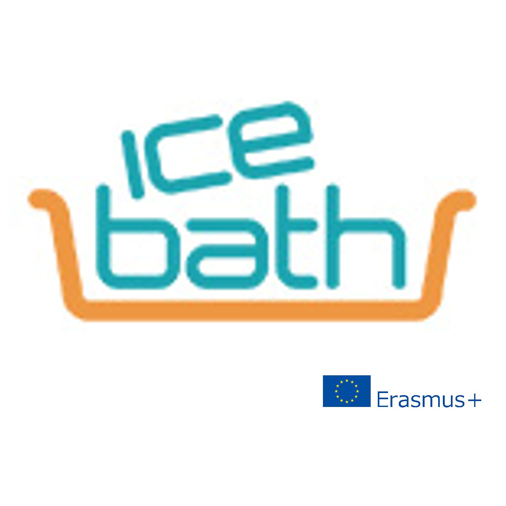 Challenching yourself, personal growth and crafting your growth are meaningfull topics in Ice Bath. Starting a new job is one way to craft your growth. It’s not definately most easiest one, but it can be the most effective one especially if you focus on your professional growth. Since the topic is actual for myself I gathered 10 reasons why people should change their jobs. 1. Adrenalin. You probably never have been called an adrenaline junkie or adrenaline addict, but you might find yourself very attracted to the adrenalin rush you will get by changing your job. You don’t have to be a free fall jumper, skydiver, or another obvious type of danger-seeker to be hooked on the rush that comes from a little stress; adrenaline junkies come in much more subtle forms, even a Master of health sciences can be one. Just don’t get addicted to the feeling, addiction always harms the future. 2. Colleagues. You will still be attached to your former colleagues, but among them you will get the new ones. I call it networking in big time. 3. They say you should change a job every 7 years. Yes I did go by the book! 7 years and 4 months and I got the urge to learn something new. It is easy to stay in your comfortzone. So easy, too easy. 5. You will learn new things about yourself. You have been independent leader of yourself and your work, but Oh boy it feels good that you have to have a mentor who you can follow like a duck. You get the secure feeling when you see your mentor behind their desk in the morning. A mentor doesn’t even have a clue how much they mean to you, but you will enjoy the joy inside of you. You are meaningfull to someone, they give their time to make you feel comfortble. We need that feeling. We need to have moments when we are carried, to be able to carry others when needed. 6. If you are over 40 and a woman you get to know all your fears, especially if you change the city among the work. But well hey, you do want to get familiar with the dark side of yourself! 7. Step out of your comfort zone. Jumping to an ice bath is nothing comparing to a start of a new job. After a day in a new job you might end up having a dream where you find yourself in pyjamas in your former job. It just tells you about your feelings of how bare, exposed and insecure you can be. Luckily it happened in your former job, not the new one! 8. You get to give an expression that you are cleaver and taking all in even though you don’t have no idea what they are saying. You can just look smart and nod. Maybe the only time in your life that it is acceptable. 9. You get to meet interesting people. Is there anything more interesting than meeting new people and to be able to be reflected by them. They see you in different light. 10. The most important thing is that you are able to grow bigger than even you knew you had the potential for. When people get familiar with you they don’t always see all the knowledge and potential that you have. They see the good things about you and knowledge that is handy for everyone, but they and you might lose the rest that you have in you. Changing the job is not a solution for everyone to craft their growth. It is important that you find your own way to craft your personal and professional growth. Just follow your dreams and ambitions! Another season of fashion week is upon us—Spring 2018, to be exact. To be in, hip, you need to wear flashes of color – bright tangerine, shocking pink and tomato red. To be a vocational teacher is also in fashion in Finland today. We survived the reform and now we just have to aspirate to the future. Vocational teachers need to be experts in teaching and learning among studying and exploring. They need to be experts in their sector specialism. Vocational teachers need to be trustworthy, team players, team teachers who respects others around. They need to have a good reflective ability and to be keen on evolving in that. They must be specialists on creating an atmosphere where collective aspiration can be set free and people are keen to learn from each other. They must be explorers who want to find out the best out of everyone. Very cleaver idea is to complete the look with crazy ambitiousness. The new collection of 2018 consists of teachers who are gentle, kind and constructive. They must have passion to find success in learning, improving and opening up themselves to growth. The motivating concept behind the new collection, combines the continued professional development – and to maintain a healthy balanced work life for the teachers. In vocational education street style collection should be found learning new approaches to teaching, student assessment and new ways of using technology. Teachers should have utterly confident ways of combining students individual needs and need for skills in working life. Mix and match is very in. There are various challenges teachers face in prioritizing continued professional development. The most important task on the way is personal growth. That is why we need teachers with reflective ability and good self-awareness that they can get the best out of their students. They must be aware of their own development tasks and they must be responsible for designing their own career development education, focused on the skills and knowledge they are lacking of. They must be able to pimp their own growth. Self-observation and self-evaluation are crucial in today’s fashion and that will lead to better self-awareness and confidence. Street style pros will get you out of your comfort zone, they are dressed in their best, no matter the temperatures. Collecting information about yourself and your way of teaching, and by analyzing and evaluating this information, is very popular among street style pros. This will help you identify and explore your own practices and underlying beliefs. This will lead to changes and improvements in teaching. Healthy self confidence, which includes reflective ability is an iconic outfit in vocational teaching in 2018. Teachers require, to ensure that the skills they coach to their students are in line with the needs of the workplaces. Skills need to be updated and this requires teachers’ work placement periods or that they will take the teaching and coaching to the workplaces. This will lead instant professional growth, the development of professional competence and expertise. Quality of teaching will change and improve immediately. (Guide for the Implementation of Vocational Teachers’ Work Placement Periods, Oph 2014). So, what do you think, what should be found from every vocational teachers everyday wardrobe in spring 2018?